its so oddly pretty. I love it! I love when she has mystery polishes available! I pick one up pretty much every time I see one while placing my monthly disney order ;) so far I've only gotten polishes from older collections, never an unnamed one, but I've never been disappointed! uuugh I need to get on that monthly disney thing! I love this one mattified! Very pretty! :D Thanks! 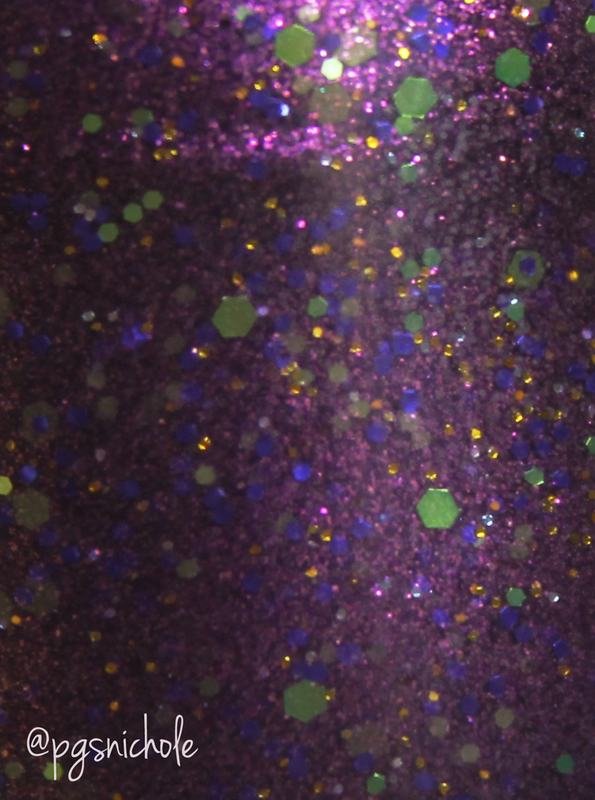 I love how glitters like this change when you matte them!